Introducing the smartphone your life can't do without, The Samsung Galaxy S7. Packed with features to keep you both productive and entertained, all in a sleek, slim design that fits comfortably in your hand or pocket. With a bigger, more stunning screen on a slimmer profile, the Galaxy S7 proves that less can actually be more. Fully immerse yourself in movies, games, and more on the 5.1" Quad Super AMOLED screen and when you're done, the Galaxy S7 comfortably slides right back into your pocket. There are two things you canÍt live without, water and your smartphone. Fortunately, the Samsung Galaxy S7 has an IP68 rating. That means it repels spills, splashes, and even dunks so you can just pick it up, wipe it off, and keep going. 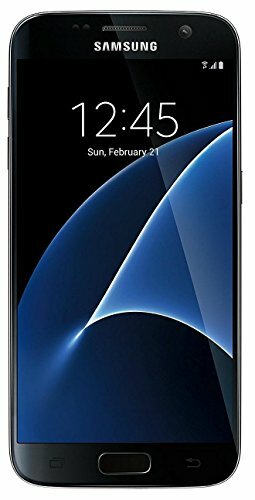 T-Mobile Unlocked Version, works for all GSM networks including ATT, TMobile, Ultra, MetroPCS, Cricket, and more as well as all GSM international carriers. Will not work with CDMA carriers like Verizon, Boost or Sprint. No SIM card included. 12 Megapixel Camera with f/1.7, 26mm, phase detection autofocus, OIS, LED flash, 1/2.5" sensor size, 1.4 µm pixel size, geo-tagging, simultaneous 4K video and 9MP image recording, touch focus, face/smile detection, Auto HDR, panorama + 5 Megapixel Front Camera with 1/4.1" sensor size, 1.34 µm pixel size, f/1.7, 22mm, dual video call, Auto HDR; Video Capture: 2160p @ 30fps, 1080p @ 60fps, 720p @ 240fps, HDR, dual-video rec.